SEMI PRIVATE 12hrs lessons & 3 sessions supervised equipment rental. Includes 7 days equipment and IKO certification. This course is for groups of 2 people booking together. You'll have your own equipment and share and Instructor and 1 Assistant Instructor. These Intensive Kite Courses are special designed to maximize your training. You’ll get all the quality instruction offered on our other courses plus extra theory and full use of the Equipment under Supervision for as long as you want to practice. 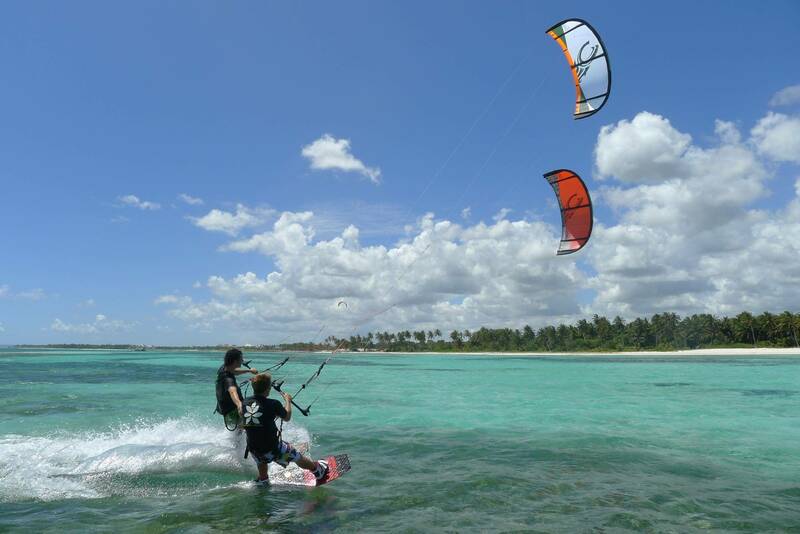 This way you’ll be able to really grasp Kite Surfing in the shortest time possible. These course are for those who are serious about going home competent Kite Surfers.